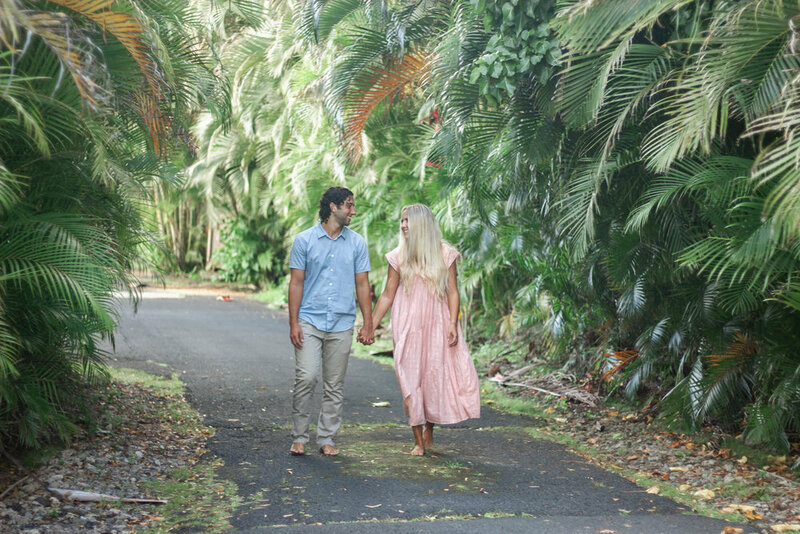 I had the pleasure of photographing Heather and Joseph to capture them in some sentimental areas during their last week in Hawaii. 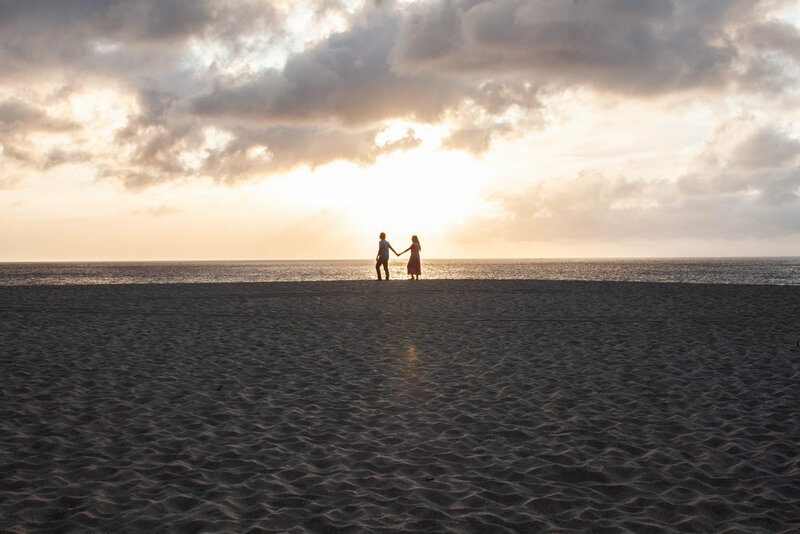 Originally from Arizona, they came to Hawaii to enjoy paradise for a few months after their wedding before going back home this month. We started at their beautiful bungalow home and made our way down the road they walked regularly to get to Ke Iki Beach. Their property was absolutely gorgeous; even their driveway had a lush green tunnel of trees surrounding it. 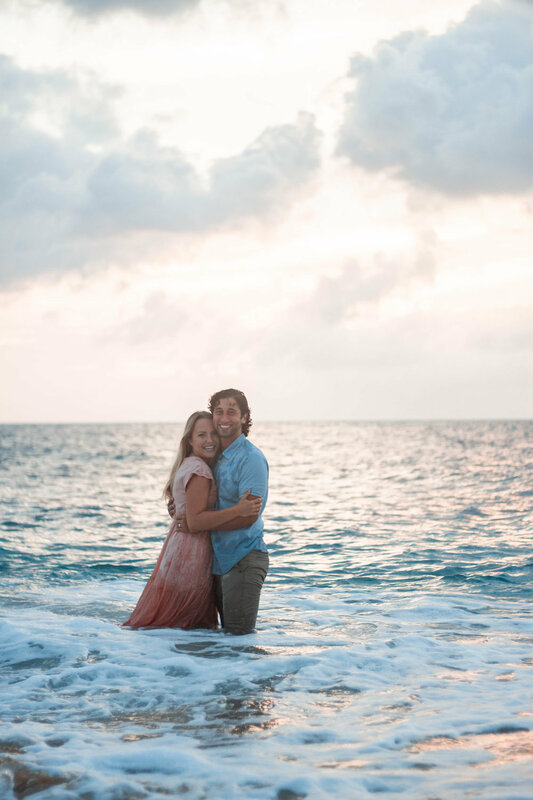 When we got down to the beach, the sun was close to being set and we got some beautiful shots of Heather and Joseph at the beach they called home. We even saw a family of sting rays swim past! The session was amazing from start to finish and I was honored to be chosen to capture some of their last moments in Hawaii.